Jeff Garzik has just received the first ASIC mining computer to hit the consumer market, and has confirmed on Bitcoin IRC that the machine functions as expected. Even after Avalon announced that they had shipped their ASICs out to customers one and a half weeks ago, many continued to doubt Avalon’s claims, but now the Bitcoin community can finally rest easy knowing that the long-awaited ASICs are indeed real. Word from Garzik first came out a few hours ago, when he wrote a blog post confirming that he received the package and showing off a few pictures of the device and its packaging. An hour later Garzik followed up with another post, detailing the hardware’s modularity and providing a brief three sentence hardware review: “No wifi antenna included. No paperwork or instructions. Power cable is for Chinese “I-SHENG” power outlets, not American. Easy oversights if someone is rushing to ship it, I suppose :)” Fortunately, Avalon founder Yifu Guo confirms, the rest of Avalon’s customers will get a standard US power cable as expected. Now, only several minutes ago, Garzik followed up with a message on Bitcoin IRC announcing the news that Bitcoin enthusiasts everywhere have all been waiting for: “mining!”, soon followed by a statistic: the machine’s average hashrate is 68252.65 MH/s. This is about thirteen percent higher than the 60 GH/s that Avalon had originally promised, and with the state of the Bitcoin network as it currently is is no small sum; given the current total network hashrate of 22000 GH/s, Garzik will be able to earn an average of about $240 per day. Avalon’s remaining customers will also be able to enjoy highly lucrative rewards, although not quite as extreme; once all of Avalon’s 20 TH/s are added into the picture, each individual ASIC will earn about $120 per day (paying for itself in slightly under two weeks), although revenues will decrease further when Butterfly Labs’ customers get their hands on their own ASICs – an event which, given Butterfly Labs’ current shipping projections is likely to occur around the beginning of March. Garzik has also made additional comments on the machine’s functionality; “once mining started it was very loud,” Garzik writes, “fans full blast, when initially powered on. 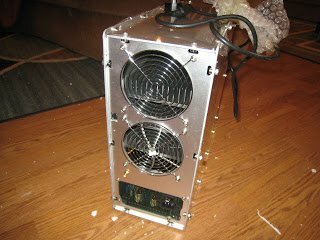 The the fans flow down, and the noise cuts way down.” He also spoke positively about the web interface, and for mining aficionados posted a detailed cgminer output log at http://pastebin.com/g4BhvCXK. ASIC mining will likely take months to reach its full potential; Avalon is not releasing its next batch until early March, and Avalon and Butterfly Labs may well be working nonstop for the foreseeable future as more and more customers line up to buy their own. The Bitcoin ASIC revolution, far from nearing its finish line, is now only beginning. 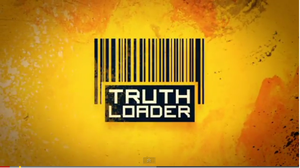 Debate on TruthLoader Tomorrow: Can We Govern Ourselves With Digital Technology And Collaboration?